Thermoforming. Developments continue to be characterized by clever improve­ments to the details and new process variations. The industry is focusing on exact matching of machine technology, process and material. 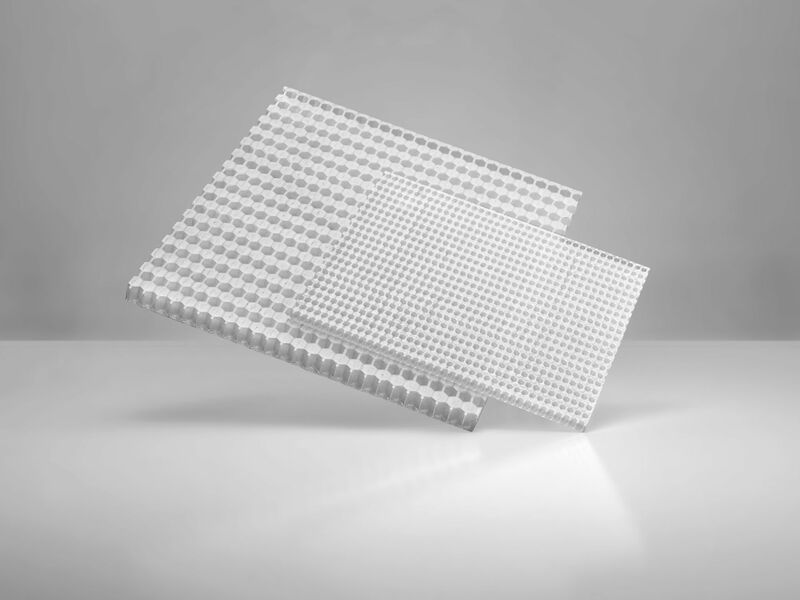 ThermHex Waben GmbH, Halle (Saale), Germany, offers in-line production of honey­comb material made from thermoplastic film or pro­duced by direct extrusion. The honeycomb core is creat­ed from a single web of mate­rial in a thermal forming and folding process. All thermoformable polymer can be converted into such honeycomb cores. The hon­eycomb cores can be com­bined with a variety of skin/cladding rnaterials and find use for a variety of appli­cations in the autornotive, furniture, construction and packaging industrie. At the Shell Eco-marathon 2012, the Burg Giebichenstein Kunsthochschule Halle, Halle (Saale), received the Design Award for its entry in the ‘Ur­ban Concept” category. The objective was to develop a single-seat vehicle with an un­usual steering ystem and shape that wa manufactured from renewable resources. A ThermHex Sandwich panel was manufactured from lignin for the envelope of the concept vehicle. In nature, lignin gives plants there woody tructure, is a byproduct of paper pro­duction and has processing characteristics similar to those of polypropylene. Thanks to new processing vari­ants, thermoformingis finding increasing application for products that could not be manufactured by rneans of classic thermoforming previ­ously. Through innovation and targeted developments, it will be possible to develop addi­tional markets with new prod­ucts and strengthen the sector. In the same way, detail im­provements are increasing the efficiency of conventiona1 pro­duction processes.